Creating a customer focused culture sounds so simple, so basic, so fundamental and yet most companies never quite get there. To be sure it is a journey but like any journey you need to start somewhere and pick a few stops along the way. The first stop involves knowing where you really are as an organization. 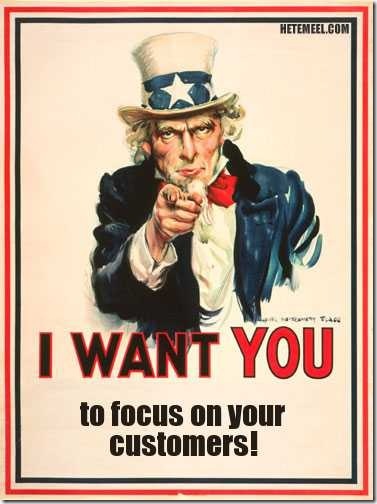 How customer focused are you? Certainly your customer’s will have some strong opinions on this….. But to really get to the heart of things you need to start inside the organization with the people responsible for being customer focused and developing a customer experience. What do employees think? Do they believe they work in a customer focused environment? We have a number of tools to help companies measure the behaviors that customer focused team’s exhibit. These help everyone get on the same page regarding what a customer culture really is and what is required to create it inside any organization. Getting this type of feedback is the first step in becoming customer focused. It is usually tough for leaders to hear and see results that are not favorable, even though sometimes there may not be big surprises. But getting feedback is part of being customer focused so if leaders cannot accept and use feedback that is the first issue that needs to be addressed. This entry was posted in Customer Experience, Customer Value, Customer-Centricity, Uncategorized and tagged customer culture, customer focus, linkedin customer centricity. Bookmark the permalink.